Which is your favorite post in this blog? 🙂 And why you like it? I have found your blog not so long ago so your collection of ‘the best’ posts was a real present for me. I really found many interesting things for my PC. Praveen Kumar,you are really a great. 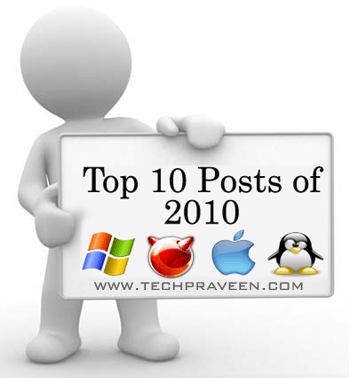 I think these are the best posts for you for driving more traffic to you blog in 2010. Keep blogging.